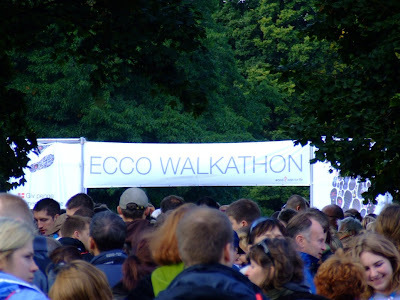 On Saturday we took part in the Walkathon - the charity action by Ecco company, carried out in some European cities. We walked for 10 km and in this way raised some money for the children with Cystic Fibrosis. 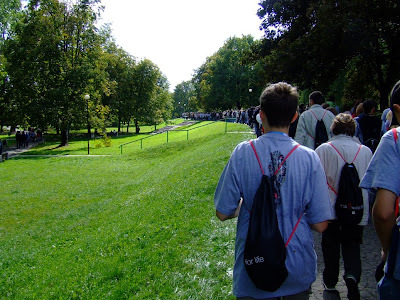 Start of the 10 km walk. 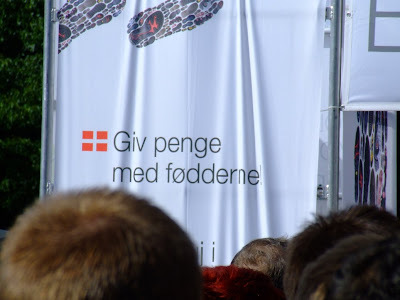 There were stands with writing in Polish, English, Swedish and like here - Danish. 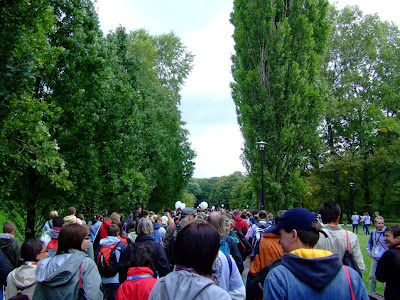 There were thousands of people walking! 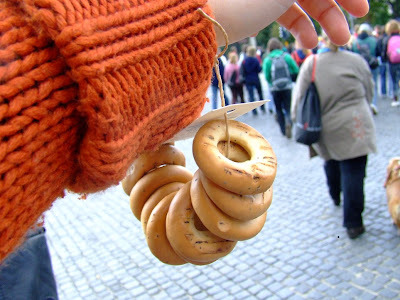 Here is some traditional Polish snack we bought on the way - they're called obwarzanki, and they are semi-sweet tough bread cakes. I love them! Yay! Bravo on the walk! 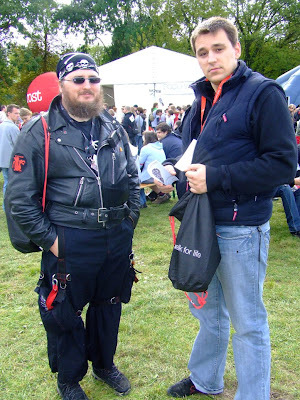 i bet it felt great and a little bit tiring :) The walk doesn't just benefit the charity but you too!